Posted 28 December 2013 & filed under Nunnery open space, People, Places and spaces, Sopwell Park, Tudor period. Sir Richard Lee is said to be descended from ‘a genteel family in Sussex where they had flourished for three or four generations’. His mother was named Hall and was the daughter of the sister of the famous Edmund Dudley the extortioner under Henry VII. Richard was brought up as a military man under Henry VIII. 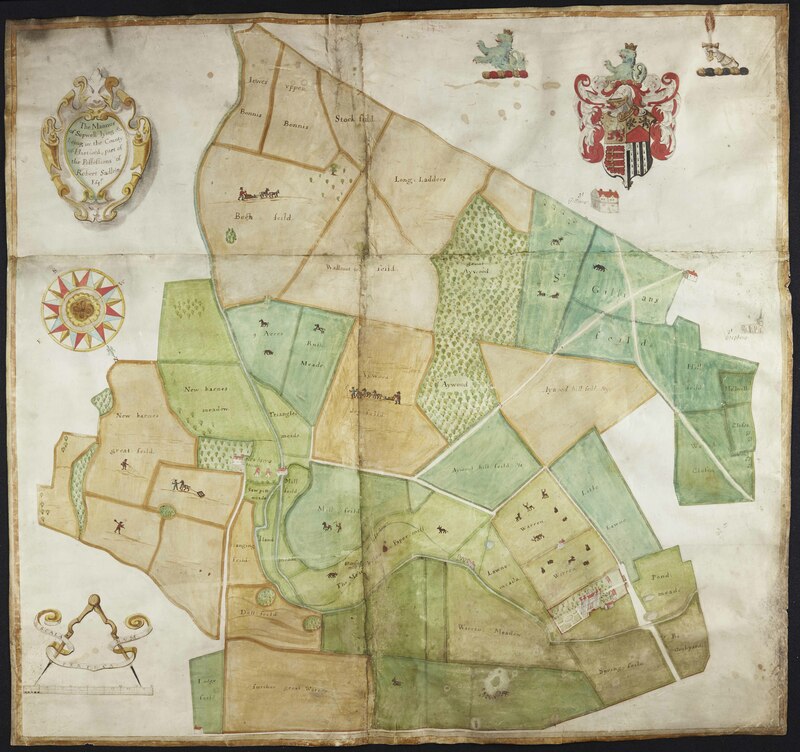 Lee was granted Sopwell nunnery and adjoining lands when King Henry VIII dissolved the monasteries in the 1530s. It was Lee who stole the eagle lectern from Holyrood Palace and gave it to St Stephen’s church. The following is a quote from St Stephen’s church records: “Sir Richard had a very handsome wife (whose maiden name was Margaret Greenfield) and who was in no small favour with the king; and by her solicitations the grant of Sopwell had been obtained; and at the same time a grant to his brother Thomas Lee, of St Julian’s, and some lands belonging to it. Lee died in 1575 and is buried in St Peter’s churchyard. 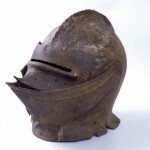 His helmet which accompanied his coffin can be seen in St Albans museum in Hatfield Road. He left two daughters but no son. The eldest, named Anne, married Edwyn Sadleir, the second son of Sir Ralph Sadleir of Hendon; and the youngest named Mary, was married first to Sir Humphrey Coningsby, and secondly to Mr Pemberton.